Hebrew Academy was founded on principles of Jewish philosophy that integrates the love of G‑d, intellectual knowledge, understanding and appreciation of the individual’s uniqueness. Our administration and staff strive to implement this philosophy in our Judaic and general studies while fostering a supportive environment for all our students. Using the Montessori principles and materials, which are experiential in nature and individualized, each child enjoys self-paced learning. At the Hebrew Academy of Tampa Bay, we see each child as a unique and precious gift entrusted into our care. This concept is what governs our school’s educational approach. Emphasis is placed on the individual child and encouraging each child’s innate thirst for knowledge. 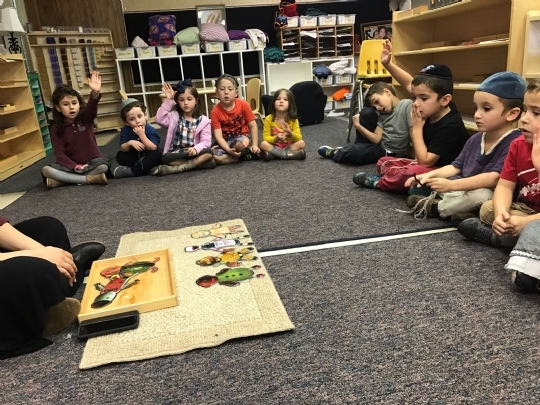 By empowering the head, heart and soul, a Hebrew Academy education provides our students with knowledge, skills and self-initiative necessary to be successful members of contemporary society. It is our goal that with this knowledge and love of Judaism, the children will be empowered “lamplighters” in the world.